Here at Aesthetika, we realize that many adults have had negative experiences at the dentist’s office. 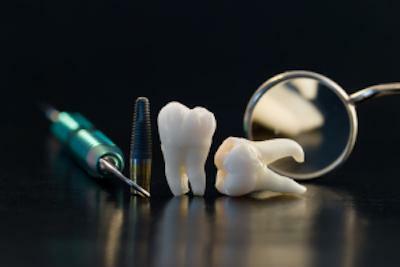 You may be one of them and still have nightmares of painful flossing, your mouth stretched by cotton wads, or the loud drill hitting a nerve in your teeth. No wonder so many adults avoid the dentist! At Aesthetika, we do dental differently. Our number one concern is practicing “gentle dental,” where we do everything in our power to make the experience positive and free of discomfort. This includes using nitrous oxide sedation for more invasive procedures. We also recognize that many procedures take time. We don’t want you to get bored while we work, so we offer our patients virtual reality goggles or headphones. You can catch a great movie or listen to some relaxing music while we improve your smile! If a past trauma has made it especially difficult for you to visit the dentist, we are here for you. You are not alone! It is not uncommon for certain patients to feel very anxious at the thought of sitting in a dental chair. In these situations, we will bring in a dental anesthesiologist who will put you to sleep for your procedure in a safe and painless way. Don’t let past bad experiences hold you back from getting the beautiful smile you’ve always wanted! Contact the Aesthetika Dental Center today to learn how we do dental differently.